There is no rebellion in Mindanao even when the ISIS-inspired Maute Group swooped down on Marawi causing scores of deaths, millions of pesos in damage to property, and disrupting the life of the city for several weeks now. Thus, said Supreme Court Associate Justice Marvic Leonen in his dissent to the high court's ruling upholding President Rodrigo Duterte's declaration of martial law in Mindanao based on supposed rebellion. "With due respect to my colleagues, I cannot join them in their acceptance of the President's categorization of the events in Marawi as equivalent to the rebellion mentioned in article VII section 18," Leonen said in his opinion, which the Supreme Court released on Wednesday evening. "In conscience I do not see the situation as providing for the kind of necessity for the imposition of Martial Law in Marawi as well as throughout the entire Philippines," he added. Leonen said the events in Marawi amounted "to acts of terrorism which should be addressed in a decisive but more precise manner." "The military can quell the violence. It can disrupt many of the planned atrocities that may yet to come. It can do so as it had on many occasions in the past with the current legal arsenal that it has," Leonen said. "In my view, respondents have failed to show what additional legal powers will be added by Martial Law except perhaps to potentially put on the shoulders of the Armed Forces of the Philippines the responsibilities and burdens of the entire civilian government over the entire Mindanao region. I know that the Armed Forces of the Philippines to be more professional than this narrative," he added. Leonen said those who lost their lives in Marawi should be honored "by calling our enemy with their proper names: terrorists capable of committing atrocious acts." "They are not rebels desirous of a viable political alternative that can be accepted by any of our societies. With their plans disrupted and with their bankrupt fanaticism for a nihilist apocalypse, they are reduced to a fighting force violently trying to escape," Leonen said. "They are not a rebel group that can hope to achieve and hold any ground," he added. The magistrate said the atrocities of the terrorists in Marawi "are designed to slow down the advance of government forces and facilitate their escape" following the arrest warrant issued against one of its leaders. "They are not designed to actually control seats of governance," Leonen said. "The provincial and city governments are existing and are operating as best as they could under circumstances. They are not rendered inutile such that there is now a necessity for the military to take over all aspects of governance," he added. He also believes that martial rule "creates a false sense of security." "Terrorism cannot be rooted out with military force alone. Military rule, authoritarianism, an and iron hand do not substitute for precision, sophistication, and professionalism in our law enforcement. The false sense of security will disappoint. 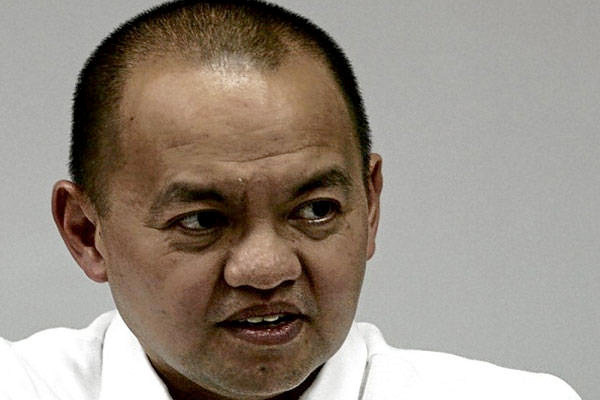 It is that disappointment that will foster the creation of more terrorists and more chaos," Leonen said. Leonen then averted to the country's experience under martial law during the presidency of the late Ferdinand Marcos. "History teaches us that to rely on the iron fist of an authoritarian backed up by the police and the military to solve our deep seated social problems that spawn terrorism is fallacy. The ghost of Marcos' Martial Law lives within the words of our Constitution and rightly so," he said. "That ghost must be exorcised with passion by this Court whenever its resemblance reappears," he added. During Tuesday's en banc session, 11 justices voted to dismiss the consolidated petitions while three magistrates—Chief Justice Maria Lourdes Sereno, Senior Associate Justice Antonio Carpio and Associate Justice Alfredo Benjamin Caguioa—believe the coverage of martial rule should be limited to some areas only. Only Leonen voted for the junking of Proclamation 216, which was challenged for alleged lack of sufficient factual basis. The SC heard the consolidated petitions filed by a group of opposition congressmen led by Albay Rep. Edcel Lagman, activists and militant lawmakers, and four women residents of Marawi City—the site of vicious fighting between government troops and Maute group since May 23. The petitioners and the Office of Solicitor General were given the chance to defend their positions in three days of oral arguments that ended with a closed-door briefing by Defense Secretary Delfin Lorenzana and Armed Forces chief General Eduardo Año on June 15.